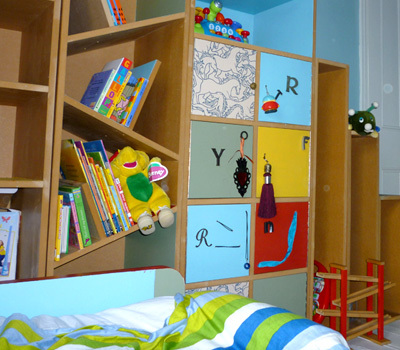 The client wanted funky, but stylish bedroom furniture suitable for her toddler, in a design that would also see him through to the next few years. 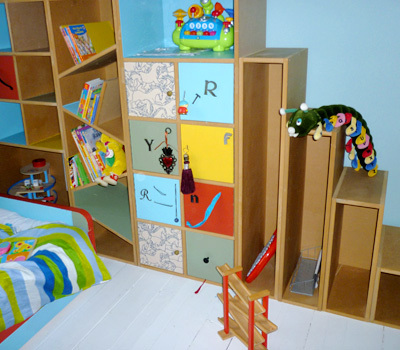 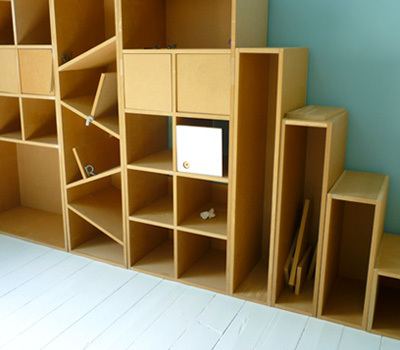 The various cupboards and shelves were built to hold the child’s toys, books etc. 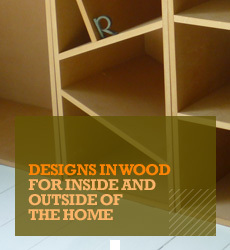 but also to make it interesting for him to open and use. 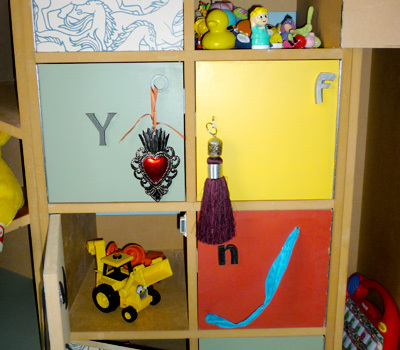 For the cupboard decoration household odds and ends, including jewellery and key rings were put to good use. 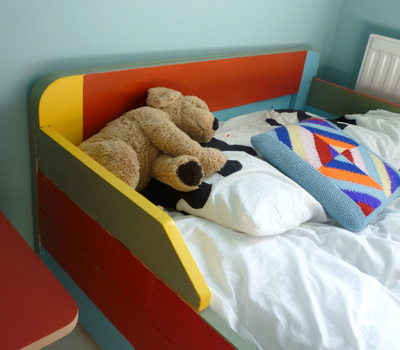 The brightly coloured bed and matching bed side table bring the whole scheme together and as the child gets older legs can be added to the bed for a more ‘grown up’ style. 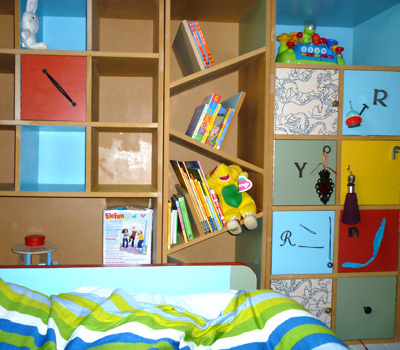 The bed, table and cupboards were all constructed from MDF and painted in bright, contrasting colours. 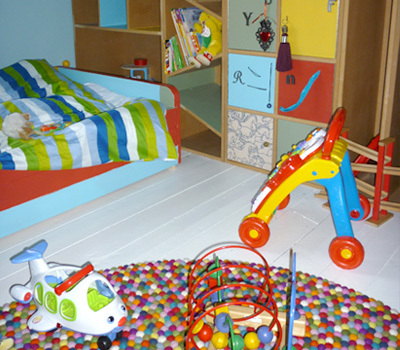 The client was given ideas on design and style before starting the project.